The Gold Medal 2048 vending tray ensures convenience when delivering food and merchandise to customers at events. 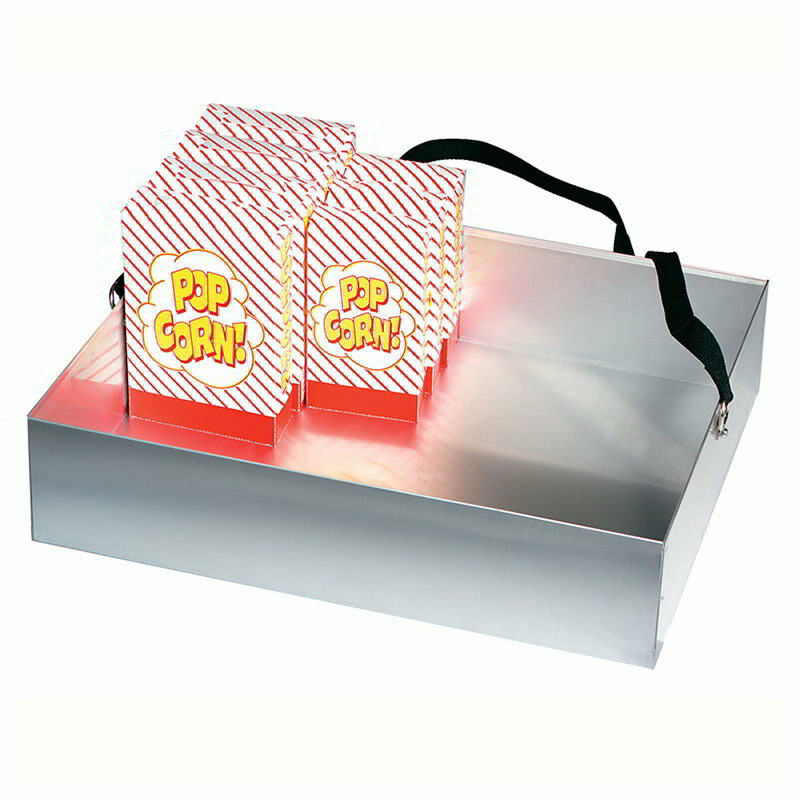 It can hold 40 boxes of popcorn as well as other event foods like hot dogs and cotton candy. Its black strap is comfortable when carrying the tray. "This works perfectly for our Tuesday night concerts in the park. The ease of bringing the popcorn to the people is great. We have increased our s..."
"This works perfectly for our Tuesday night concerts in the park. The ease of bringing the popcorn to the people is great. We have increased our sales!"